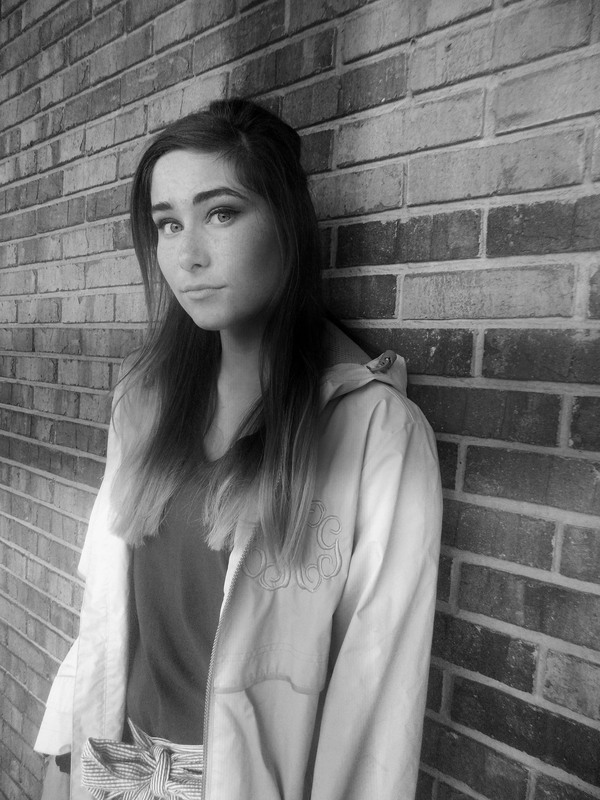 Roughly five miles away in the high school parking lot, 16-year-old sophomore Keaton Conner sits in her black Jeep Patriot Sport. She doesn’t go inside to the open commons area, the hub where students like to gather and sit on two large octagon-shaped carpeted areas in the center. “Mushrooms,” they’re called. She waits for her friends, who decide to swing by Dairy Queen and Hardee’s. Instead, Keaton eats a strawberry Belvita breakfast bar. The time before the morning bell dwindles and her friends still haven’t arrived. The three girls and their friends, Emily Owens and Briley Chambers, usually meet in the front of the parking lot and walk in together. Despite some reservations about being late, today’s no different. But when she looks up from her phone, she sees students running out of the school. Something’s wrong. She can tell from the expressions on their faces. At 7:56 a.m. Her friend Cameron King, 17, a senior, pulls her blue Toyota Corolla into the parking lot. So does Leighton Solomon, 17, a junior. As she opens the car door and puts a foot on pavement, collective confusion floods the group text. The girls ask each other what’s going on. None of them have an answer. Sheriff Byars assists someone at the front counter at the sheriff’s department when a transmission comes over the speakers in the office. “I need units at the school now,” says Officer Chumbler, who’s been the school resource officer at Marshall County High School since 1997. Sheriff Byars knows his officer’s personality and demeanor well. The serious tone of Officer Chumbler’s voice confirms Sheriff Byars’ immediate suspicion. Shots fired in the school. Back on the 20-acre campus, at least a couple hundred students fill the parking lot. Cameron repeatedly asks other students what’s going on. They run to evacuate by foot or to their cars; some pile in with strangers. “Just get out! Run!” someone tells her. She leaves her car door open. She sees two men, a teacher and an administrator. “Go! Go! Go!” one shouts at students. The other directs students to go behind the football stadium. Cameron runs to the left toward the side football stadium to hide. 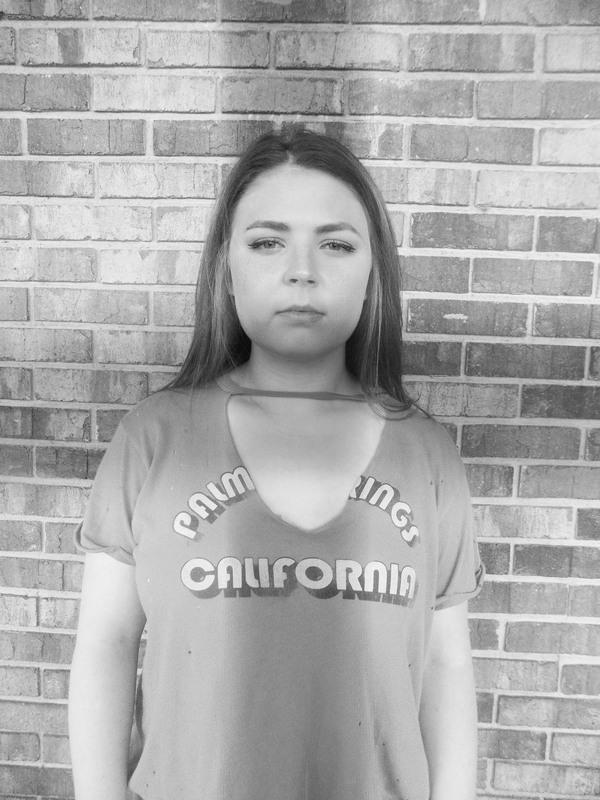 Her friend Keaton, goes in the opposite direction, after a teacher directs her to go to the nearby weight room. There Keaton calls her mom to tell her what’s going on. Their other friends, Emily, Briley, and Leighton Solomon never got out of their cars. They decide it’s time to go. They leave through the same one-lane. Behind the stadium, Cameron sees a familiar face among the roughly 20 students around her. Another senior. They take college courses together at Murray State. She wants to ask her classmate what’s happening, but she’s consoling another student, whose arms are clutching her abdomen. When the girl unfolds her arms, Cameron sees they’re bloody. Cameron’s mind races. She doesn’t see the source. She doesn’t know if the girl fell, or hurt herself. She wonders if a window broke and maybe the girl cut herself. It’s not even 8 a.m. yet. Cameron sees another girl she knows, a sophomore who’s friends with her friend group. She asks the sophomore if she’s OK and if she knows what happened. That’s the first time Cameron hears the words. School shooting. The girl with the bloody abdomen has a “deer in the headlights” look on her face. She’s in shock, Cameron thinks. Her classmate comforts the quiet girl. Not even 10 minutes later, a female teacher comes and tells them to go to the weight room. She directs the students. When the teacher turns her back, Cameron makes a break for her car. “Go to the weight room!” the teacher shouts at her. Cameron ignores the teacher and keeps running. She doesn’t want to be stuck on campus in a lockdown. And her phone. If her phone dies, she won’t be able to answer calls and texts. Her family and friends may assume the worst. The line to get out of the parking lot, normally a disarray of hurried drivers cutting each other off, is abnormally organized today. At the end of a normal school day, it takes her 15 or 20 minutes to leave. People rush to get off campus. This morning, in the chaos and confusion, there is order in the carpool etiquette. Everyone forms a line. They let other cars merge in. As Cameron leaves, Sheriff Byars arrives at Marshall County High School. She passes first responders as she makes her way off the campus. She and her friends, Emily and Leighton, agree over group message that everyone should meet at the nearby car dealership that Leighton’s parents own. Except Briley, who goes to the nearby elementary school where her mom works. And Keaton. on lockdown. “This is real,” Keaton says, on the phone to her mom from inside the weight room. “I’m going to come get you,” her mom says immediately. But Keaton knows she won’t be able to. “I think this is the safest place I can be,” she reassures her mom. Texts and calls come in, but she stays on the line with her mom. “Do you know everyone in the room with you?” her mom asks. The red-haired teenager looks around at the 20-30 students she’s with. Everyone seems to be hysterical, or on the phone. She scans the room and recognizes, shares mutual friends, or personally knows all but four or five students. This isn’t uncommon at Marshall, where approximately 1,500 teenagers make up the student body. She notices one student because he’s not crying. He’s just sitting with his satchel. A teacher ushers in students that took shelter behind the stadium. Keaton hears their conversations. Their voices carry as they talk to students who’d been led into the weight room with her They were so close they saw the gun. Keaton spots one of her friends, another sophomore. They’d been in a play together. The girl makes her way over to Keaton. Her friend is visibly upset. She tells Keaton that she could point the shooter out. The girl says she wants to talk to a teacher. Keaton doesn’t think anything of it, because other students are doing the same. She watches her friend walk calmly across the room. Only later would Keaton find out that her friend identified the shooter — the boy with the satchel. Within 15 minutes of the school resource officer’s call, over 100 first responders are on campus. Among them are county officers, both on shift and off duty, law enforcement from nearby jurisdictions, and the Vanderbilt Trauma Center. Within 15 minutes of the school resource officer’s call, they know the whereabouts of the shooter. Sheriff Byars enters the weight room to detain him. Silence fills the atmosphere as unknowing witnesses realize what’s going on. The boy doesn’t try to resist. He is taken into custody and his satchel into evidence. It’s a short ride to the Marshall County Sheriff’s Department. Before 8:30 a.m. — After Leighton’s parents rush to hug the girls upon arrival, after everyone shares their relief that all the girls are safe — it starts to set in. Emily, Leighton, and Cameron sit inside the Leon Riley Ford dealership approximately four miles from their high school. They text and call friends to make sure everyone is OK. Everyone Cameron contacts is safe. But Leighton and Keaton have two friends who’ve been shot. They sit on the couch and watch the news. Breaking reports count one deceased and a handful injured. The girls know the initial number is inaccurate. They count among themselves a much higher number of injuries, Cameron says. They would find out later that two students were killed and 14 sustained injuries. After watching Kentucky Gov. Matt Bevin’s press conference that afternoon, Leighton’s mom takes the girls to Dairy Queen. They haven’t eaten since that morning. They part ways around 3:30 p.m., though they’ll continue to talk in the group text for the remainder of the night. 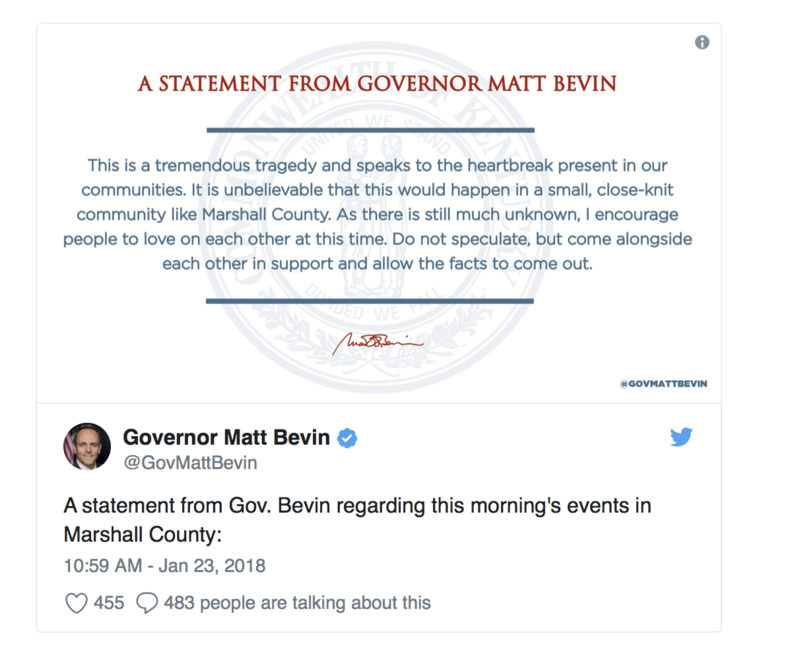 Statement on the shooting by Kentucky Gov. Matt Bevin. After students leave campus, the teachers at Marshall County High School gather in the gym. They cry and hug each other as they begin to process what happened earlier that day. Among them is Ethan May, the sophomore English teacher and junior/senior yearbook adviser. At the forefront of his mind that morning was student safety and procedure. His jaw aches; his body is tense from stress. His parents and aunt pick him up at the school that night because his body is exhausted from being in a heightened state of shock and stress all day. There’s mostly silence in the tan Acadia. As they drive to his doctor, Mr. May, 27, tells them what he can about the worst day of his life. His doctor prescribes medicine for his anxiety. It’s not until 7 p.m. that Mr. May gets home. Not his home with his black cat, Binks. He stays at his parents’ home in Metropolis, Indiana, where he grew up and went to high school. He has no appetite, even though he hasn’t eaten all day. Tomorrow, Mr. May has meetings and discussions at 10 a.m. with the rest of the faculty and administration. He takes the anxiety medication and drifts to sleep around 8:30 p.m. In Fairdealing, Kentucky, Sheriff Byars sits in his home, exhausted. After more than 12 hours at Marshall County High School, it takes him a while to decompress. The day has demanded his focus be untethered by emotions. Connection to the high school isn’t uncommon in the close-knit community of Marshall County. He knows the families of the injured, of those killed. Sheriff Byars, like most of his officers, is an alumni. His youngest daughter graduated the year before. When he’s finally able to relax, his daughters, who live at home, hug him. That’s when it hits him. It hits him hard.